Merry Christmas to all who celebrate! Happy Sunday to all! 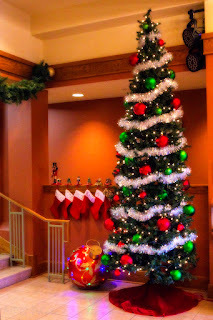 This image is of one of the Christmas trees set up in the Historic Opera House in Junction City. The Opera House has been beautifully restored and it was decorated with various Christmas decor and looked even more beautiful for the holidays.